An experience of natural comfort by design. 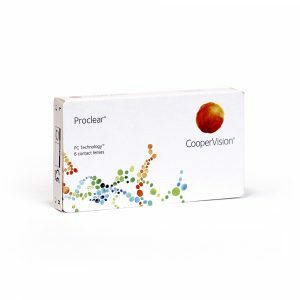 Proclear contact lenses are a brand of contact lenses by Cooper Vision. Cooper Vision boast a superior aspheric optic design for optimal visual sharpness. They maintain 96% hydration even after 12 hours of wear. Designed to address discomfort from the eyes. Pro clear contact lenses also offer a vast range of powers including very high minus powers , up to -20 for highly myopic contact lens wearers. Proclear contact lenses by Cooper Vision – perfect for high myopia, meaning high minus corrections (ranging from -10.00 upto -20.00).